Made for Trade are challenging installers and our competitors at this years FIT Show to prove the Korniche lantern is the fastest and easiest available to install. STEP UP AND TAKE PART... Take the opportunity to win up to £1000 cash by rising to the challenge of becoming the fastest installer of our demonstration Korniche Lantern on Stand K10 at this years Birmingham NEC FIT SHOW in May. If you think you’ve got what it takes then you’re in with the chance to walk away with a BIG CASH PRIZE. We will be holding a new competition each day, at the end of which the three quickest teams on our leaderboard will be going home with either £1000, £200 or £100 IN CASH. The competition is open to anyone at FIT Show 2019 but entrants can pre-register with us for a guaranteed chance of taking part and being one of our VIP Guests. We’ll have limited space so don’t delay to ensure you don’t miss out. ENGINEERED TO SUCCEED Meet the engineering team at the FIT Show who have worked tirelessly to bring you another ground-breaking Made for Trade product to be unveiled at this years show. They will be on hand to answer all your questions about our products but in particular to showcase what we have been working on and especially how the features that have been developed will be a huge benefit to installers and builders on-site. The aesthetics and fine detailing have been designed with both functionality and consumer appeal in mind delivering a product that will complement the hugely successful and award winning Korniche Aluminium Roof Lantern. Donâ&#x20AC;&#x2122;t miss the opportunity to witness the result of Made for Tradeâ&#x20AC;&#x2122;s continued investment in engineering and design, bringing products to market that installers wish for and homeowners want. You can now recive your industry news in a range of formats, Newscast, Website, Social Media, and now in a magazine. So whatever your preference for catching up with the latest innovationsTHE and news in the industry, there is a LATEST INDUSTRY NEWS Window News format to suit everyone. We aim to keep readers up-to-date with the latest industry news, trends, technical innovations and suppliers. Our web format means that we can be in the right place at the right time – wherever that may be. The transaction is the fourth investment made by Maven’s UK Regional Buyout Fund, which recently announced its final close, having raised £100 million from a diverse range of investors, including Scottish Enterprise – Scotland’s national economic development agency, family offices, high net-worth syndicates, pension funds, fund of funds and asset managers. commercial build projects in the UK and has long-standing relationships with many of Scotland’s local authorities to refurbish their social housing stock, and has recently extended its reach to local authorities in the North of England. CMS commands a strong market position, with the business possessing the capabilities and experience to undertake large and complex projects across all commercial, social, and private housing markets. Its capability to complete client projects across several market channels has led to a record year for CMS. New commercial contracts, such as the flagship Atlantic Square development in Glasgow, and strong recurring revenues from long-standing customer relationships, have contributed to turnover increasing to over £36 million. Maven has taken a majority equity investment in the company which will enable CMS to further pursue its social housing strategy, targeting the larger addressable market in England, as well as capitalising on the increased demand for energy-efficient windows and doors in new-build housing. TRADE NEWS distribution, Sally Holdcroft, DOORCO’s newly promoted Transport Manager comments: “I’ve been with DOORCO for over two years working across all areas of the business and building up a transport plan for implementation behind the scenes. During this time I’ve developed a deep understanding of not just our business, but also our customers businesses and this has been vital to ensuring we develop efficient transport networks across the UK. Record Roto Results compared to March 2018. Figures over the last financial year are also extremely positive with sales of Roto products up by 90%. TRADE NEWS Oak Concrete. These are available across aluplast’s core Ideal 70 and contemporary Squareline Ideal 4000 system, plus its Lift-andSlide Patio and new Smart-Slide inline sliding door and flush casement sash. aluplast Reports Continuing Growth aluplast has reported the continuing growth of its UK business, announcing sustained increase in sales last year, driven by a series of new product launches. This includes the unveiling of the German systems house’s Flush Casement, new Inline Smart-Slide Patio Door and Woodec, the company’s next generation timber-like textured PVC-U foil. Home Week 2019 Yale has announced that it is joining a host of major brands in sponsorship of Smart Home Week 2019 – an initiative showcasing the best in smart home technology. There will also be a special popup event with tech guru from the Gadget Show Jason Bradbury at Charing Cross Station on Saturday 18th May. Open to the public, this Q&A session will include giveaways, photo opportunities, and product displays. For further information or updates about Smart Home Week, please visit www.smarthomeweek.co.uk. To find out more about Yale’s full range of smart security products, visit www.yale.co.uk/smart-living. technicians from the manufacturer’s facility in Germany. Trading at Garnalex is due to commence when the equipment is commissioned during August. Garnalex has been formed by Roger Hartshorn, who is well known in the industry, having been involved with HL Plastics for over 42 years. He was one of the founders of Eurocell PLC, more recently going on to develop the successful Liniar window system and associated product ranges with his team. Mr Hartshorn retains excellent links with both companies and intends to further develop this relationship by supplying aluminium extrusions to them, amongst others. Remarkably, the companies he has started now employ over 2,000 people in Amber Valley area. Mackenzie Glass’ has reported a 30% jump in demand for cut to size laminate. Reporting the year-on-year growth in laminate sales, Mark Herbert, Joint Managing Director, Mackenzie Glass, said demand has been driven by new regulatory requirements under PAS24, as well as the increased specification of larger IGUs. Mackenzie Glass moved to meet this increase in demand in the summer with the installation of a second laminate cutting table. Its’ new Bottero 515LAMe laminated glass cutting table, delivered in July with an accompanying loading table, gives Mackenzie Glass the capacity to handle 4.5m X 3.2m laminated sheets. He said: “Taking standard domestic installations first, the requirements introduced under Part Q and through PAS24 in new build have increased demand for laminate in IGU manufacture. With 90 second heat-up times, compared to the 8-minute heatup of its pre-existing table, it also gives the independent glass merchant far greater flexibility in the supply of cut-to-size laminates. Running across two-shifts 24hours a day, Mark, said that the investment has allowed Mackenzie Glass to cut delivery times to as little as three-days with ambitions to reduce turnaround times to 48hrs or less. Foam tape sealing company ISO CHEMIE has extended the scope of its specialist services with the launch of new 3D BIM (Building Information Modelling) technology. seal, and that they follow the IGU manufacturer’s recommendations. No matter which solution is preferred, at Slenderline Glass all of the relevant glazing materials can be purchased alongside supply-only IGU orders. It is also vitally important that tradespeople follow the recommended painting times as specified in the glazing methods, to avoid any possible flaking or degradation. Depending on the sealant used, there are different timescales for painting after glazing has been completed. Whilst extenuating circumstances such as temperature and humidity can also extend cure times, even accepted paint types can prolong drying times and must be taken into account. All of this information is available to customers on request. Are you glazing your heritage units correctly? PEOPLE software programmes such as Quest were written with just a few thousand lines of code because the software needs of customers at that time were so limited. Now, as you can imagine, our latest programmes have millions of lines of code and that’s constantly increasing as we keep up with demand from customers who want our software to do so much more for them. “In the early days, most of our customers were fairly small, owner managed businesses producing relatively few windows per week – almost all in the same profile system and almost all in white – and they just wanted the software to help in their manufacturing. Now, our customers are huge national companies with diverse product ranges who want to integrate our software across their sales, manufacturing, logistics and accounting operations. As it celebrates its 40th anniversary, Business Micros is paying tribute to some of its longest standing staff and those behind the scenes who have helped to make the software specialist an industry favourite. 10 IN 10 Give us 10 minutes of your time to show you 10 reasons why you should make the change to Distinction! Manager For Ireland The GGF Regional Membership Team has been strengthened by the appointment of Noreen McNairney who will be responsible for managing membership in Ireland as Regional Membership Manager. 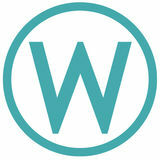 Belfast based Noreen will be responsible for all membership matters in Northern Ireland and the Republic of Ireland. With broad experience of working within membership organisations on a regional basis, Noreen joins the GGF from the Royal Collage of Psychiatrists. Prior to that she had regional responsibilities across Ireland for the Chartered Institute of Building. Under the leadership of Richard Hearn, GGF Head of Membership and Training, Noreen joins a Regional Membership Team of four covering the UK and Ireland. Richard commented, “I am delighted to welcome Noreen to the team and tapping into her membership knowledge and expertise. Business Micros Puts Its Team Into The Spotlight ing on site to maintain or install their software and when. the role of IT Support Technician which is the role he fulfilled at his last company. Is it something that happens to other people? Would you prefer to sweep it under the carpet? Is it an excuse you hear often from employees looking to get time off work? Or is it something that you see affecting the lives of those around you, and would clearly like to understand it better, and be more proactive in helping deal with it positively? No other space has a launch this exciting to talk about. But we can’t reveal the details, so keep watching this space. It’s coming soon. Glazing is getting a new star. Be there when it happens. FIT Show. Stand N5. attitudes within organisations and departments. Reduced absenteeism and an elimination of presenteeism. Increased productivity – your workforce will be more engaged and ‘thriving’. Staff retention – with increased cooperation between employees, and a much more engaged and productive workforce, your staff will feel more appreciated, and proud of their roles in the organisation. Change Management – your workforce will develop better coping strategies in the face of changes outside of their own control and environment. I shall be giving a seminar at this year’s FITshow on Wednesay 22nd May, and I hope that I will see many of you there. In the meantime, have a go at this simple online assessment tool. It takes about 10 minutes, and will demonstrate to you the areas of your personal psychological components that can be improved to get you truly thriving. It’s free and confidential. https://mailchi.mp/d9b7baaac7d0/ thriveinbusiness Kate Ashley-Norman is the host of The Mental Health Revolution podcast, and a passionate speaker and campaigner about changing the nature and tone of the conversation around mental health. She is also a Thrive Programme consultant helping entrepreneurs and small business owners supercharge their emotional health, and works in businesses to help them create a powerful, thriving environment, eliminating common mental health issues. Previously Kate worked extensively in the window industry, providing PR services through her Bath Plug & Tap Publicity Company. USE MORE SPACE OR USE YOUR HEAD? At DOORCO we use technology to make your life less complicated, save you time and cut your overheads. In 2018, we held 98.7% of products in stock at any time which means customers of all sizes rely on us to get what they want, when they want it. We’ve invested heavily in our warehousing, distribution and IT systems so you don’t have to. Rely on DOORCO as your stock holding hub for Just In Time deliveries every time, and eliminate your own expensive warehousing for stock holding. opportunities to anyone supplying it.” Suitable for installation from one side and without the need for scaffolding, the system is counterbored, which means its suitable for use with standard, rather than more expensive counter-fix fixings. The design of the system means that drill holes can also be set further apart at distances of up to 400mm (top-mounted). Bohle To Unveil New Balustrading System At FIT 2019 Bohle will showcase its new dedicated, easy-to-fit and modular residential balustrading system at the FIT Show, 21 -23 May. “This is a real plus for VetroMount”, continued Chloe. “Easy adjustment of glass-tilt without the use of specialist tools, saves time scrabbling around in the back of the van in addition to purchase cost.” In addition to VetroMount Bohle will also be showcasing its new MasterTrack internal sliding door system. VetroMount has been developed by Bohle specifically for the growing residential market, simplifying installation, eliminating the requirement for specialist tools and reducing fixing costs. Available in standard 2.5m and 5m lengths in top and side-mounted options, VetroMount accommodates glass thickness of up to 21.5mm. The easy-adjust system can also be aligned to plus or minus 20mm in either direction by hand – and without the use of specialist tooling. The glass is then locked in place using an intuitive and patented push and pull mechanism. FIT SHOW NEWS formance criteria laid down by commercial specifiers. For instance, thermal performance of the C70S is between 1.0W/m2K and 1.3W/m2K, a 50mm glazing option allows for improved acoustics and a max sash weight of 150kg for tilt before turn windows, and wind and water tightness levels are class leading, the company claims – even with large span window openings. It also of course PAS24 accredited for inward and opening windows, making it suitable for all projects requiring Approved Document Q.
Avantis International is bringing the smart home revolution to FIT Show 2019. The leading hardware manufacturer is launching its latest innovation, Kubu, to the trade show in May. “The Kubu Smart Lock is a clever product that combines the mechanical lock with an electronic sensor, which will help bring the glazing industry into the smart home revolution,” says Mark Bromley, Managing Director of Avantis. In the glazing industry, Avantis is known for its hardware, but outside it’s also a leading manufacturer of electronic indicators and sensors. Mechatronics is the technology that combines electronics and mechanical engineering and this is going to play a big part in the smart home revolution, something Mark will be speaking about at his FIT Show seminar. Kubu locks use mechatronics technology. Kubu is the first smart lock that can be fitted in volume and as standard with every door and window that fabricators and installers sell, says the company. The lock is fitted to doors and then connected to the Kubu app, where homeowners can check on the lock status of their door. “Homeowners will no longer have the ‘Did I lock the door?’ panic while out and about, as they can simply log into the app and see for themselves. They can also receive real-time notifications, set schedules and check back through door locking history,” continues Mark. “The most beneficial part of the Kubu app is the WIFI perimeter feature. When homeowners leave their property and their phone automatically disconnects from the home WIFI to 4G, Kubu will send them a notification to tell them if they have left their door unlocked. So you’ll never get far away from your home with your door unlocked again! “We’re really looking forward to showing visitors to our FIT Show stand how easy and exciting the new Kubu lock is to use.” Visitors to the FIT Show can find Avantis and join the smart home revolution on Stand 125, right at the centre of the exhibition, in the Smart Zone, and hear more about the future of connected homes from Mark on Tuesday at 12:15.
time or resources to follow them up,” says Gareth. “This comprehensive package delivers those leads to customers and then it does all the hard work behind the scenes to convert them. Many installers are nervous about digital marketing and lead management, so we’re here to bust any myths and help customers get ‘digitally fit’ with all the support they need. It’s part of our pledge to give them more so they can get on with the job of installing.” The stand will bring together some of the UK’s best-known fenestration brands, including Atlas, Virtuoso Doors, REAL Aluminium and Polyframe. changing at its fastest rate in history with new technologies and a bewildering array of marketing channels now competing for customer attention. The Marketing Village will give visitors the latest, most effective tools and strategies while cutting through the hype and buzzwords.â&#x20AC;? Emmegi (UK) At FIT Oakland Glass Ltd will once again be exhibiting at the FIT Show this year to catch up with friends and colleagues away from the office, and to promote best practice in glass with an exciting new launch. FIT Show 2019 promises to be Emmegi (UK)’s biggest and best exhibition yet. The machinery specialist has been at every FIT Show so far and its stands have grown in size and scale every single time. “We do things a little differently at Oakland Glass,” explains Tina Moorhouse, Managing Director of Oakland Glass Ltd. “Although we are a sizeable sealed unit manufacturer producing an average of 14,000 units a week, we continue to offer a personal service to our customers. This means staying in constant contact with them and continuously working together to make sure we’re doing everything we can to make their lives as easy as possible. It also means investing in best practice across the business – in people, machinery, logistics and training – to make sure we have the infrastructure to allow us to build and maintain these long-lasting relationships. We’re putting even more of a focus on people in 2019 with the launch of a new initiative at this year’s FIT Show. “It’s not just about launching new products, although we will have plenty of exciting innovations on show, it’s also about making it easy for new and existing customers to see the broadest possible range of machines in action.” In line with that, the Emmegi (UK) stand at FIT 2019 will feature a mix of machining centres, welders and saw options, and plenty of ancillary machines and equipment such as crimpers, copy routers, trolleys and benches to give visitors maximum choice. Morley Prepares For FIT Show Show-Stopper Morley Glass & Glazing is getting ready to wow customers at the FIT Show in May with a 36m² exhibition stand complete with interactive tools to showcase its range of high quality Uni-Blind sealed units with ScreenLine integral blinds inside. As expected, Morley Glass & Glazing will also be proudly exhibiting its tried and trusted Uni-Blinds® options, alongside something a little different and entirely new for the business. Visitors will have the opportunity to take part in demonstrations of a new virtual reality experience that will help them gain more tangible information about the products Morley offers. Infinity is the newest brand to enter the fenestration software market and will be making quite a splash at FIT with three brand new products promising ‘endless possibilities’ for both fabricators and installers. All are designed specifically for this industry and all are said to deliver advanced technology in a user friendly, cost effective package. When you think of student life many clichés may come to mind, such as drinking copious amounts of alcohol, stealing traffic cones and watching Countdown. While these may be unfair to most young academics, clichés have to start somewhere. Another common one is of students smoking a sneaky cigarette out of the window of their accommodation. The British Standard requirement of 100mm opening span for a window with restrictors fitted will be a major inconvenience to a student smoker and the obvious temptation would be to circumnavigate this by unlocking them. Some keyed restrictors can be opened with common flat bladed instruments, such as a knife or screwdriver, often breaking the locking mechanism in the process, resulting in the restrictor failing open. For a landlord of student accommodation, the cost to repair or replace restrictors can soon mount up. The simple solution to this would be to fit a restrictor that is not only strong enough to prevent the window being forced open but is also robust and complex to be unlocked by anything other than the correct key. with the prospects are in your hands. Our data allows you to target prospects directly, helping you win more sales, more effectively. So if you need more fabricator, installer or trade counter customers, weâ&#x20AC;&#x2122;re the only database supplier thatâ&#x20AC;&#x2122;s 100% dedicated to the window, door, conservatory and curtain walling industry. through professional installers. A fully bespoke product that is produced using Panoramic’s own unique profiles, the company is offering a guaranteed 2-4 week turnaround and comprehensive technical assistance to appeal to installers. The Charles Godfrey Memorial Award for Innovation is given every year to a product that has brought significant innovation to the building industry. The Korniche Aluminium Roof Lantern has been awarded this prestigious award for 2018. Made for Trade are putting in every effort to help installers, builders and trade counters to respond to growing demand for both The Korniche Roof Lantern and the Visofold 1000 Bifolding doors. KwikQuote enables our customers to react to sales enquiries quickly by providing instant pricing for their clients. The ability to provide a customer a quotation in real time has proved to be a huge success. When partnered with Made for Trade’s rapid fabrication times (5 working days for Korniche lanterns and around 10 for Bi-Folds), our clients are handed a clear advantage in the market place. Roger Bisby who tested the Korniche earlier in the year commented: “The first thing I saw was the packaging. Every builder knows the frustration of having items arrive on site with damage. It slows the job down and causes hassle for the manufacturer - and the customer. Often there is a knock-on effect because other trades are unable to get on. With the Korniche Roof Lantern, everything arrived in perfect condition. The next thing is the instruction booklet, which deserves as award on its own. A huge amount of thought and design has gone into this. Every stage is clearly shown with intelligent use of colours to show you the relevant components. Then there is the engineering. It all fits perfectly, and, when I say fits, I mean no gaps or misalignment, and no need for packers, shims or sealant. The whole installation process went like a dream and I said at the time that I couldn’t wait until I had the chance to fit another. It didn’t take long. Without the slightest rush I fitted three on a roof in less than a morning and each one was perfect. More importantly, the customer was delighted”. Made For Trade are delighted to have received this award, one that stands by the very values on which the Korniche was conceived - to deliver to builders and installers a product that makes life on site easier and more cost effective, whilst providing a beautiful, architectural lantern look that is contemporary whilst holding on to traditional timber style fitting any home. FITTED IN MINUTES, GLAZED IN SECONDS, STRONGER than any other lantern on the market with WARMER construction and SLIMMER profiles. With The Aluminium ‘Hidden Sash’ Panoramic Group is gaining recognition for its innovative approach to designing and manufacturing windows and doors and, in some cases, taking what amounts to a completely fresh approach to a product. Such is the case with the company’s ALU 70 ‘Hidden Sash’ tilt and turn window which, despite offering some exciting innovations, remains surprisingly competitive in its pricing. of the framing allows an Energy Rating of ‘A+’ to be achieved, and security is enhanced by multipoint locking as standard, tested to PAS24:2016. Dimensions up to 1300mm x 2400mm can be manufactured to create spectacular glazing installations, with capacity for glass units up to 44mm allowing triple glazing if required. Alumen’s Alan Robinson said that the ALU 70 achieves Panoramic Group’s goal of offering high quality and something innovative in all of its products: “The ALU 70 is clever for what you cannot see. Used in contemporary settings it allows the designer or homeowner to let maximum light into a space and the overall design means the window is a pleasure to operate and easy to secure. And it competes very favourably on price with conventional tilt and turn styles.” www.alumen.co.uk limited movement capability of tapes. DOWSIL™ 121 mixes automatically in the gun and can be quickly and easily applied with an electronic gun making it convenient and simple to use on site or in the workshop. The real advantage of using DOWSIL™ 121 is its incredibly fast cure times – just one day (24 hours) compared with 14-21 days for single-part sealants – giving huge productivity savings. Because 121 from DOWSIL™ mixes in the gun, there is no need for costly specialist pumping and mixing equipment and their associated maintenance costs. This speed and convenience does not come at the expense of performance however, as DOWSIL™ 121 outperforms organic weatherseals and structural tapes, claims the company. ON SITE go abroad for treatment, to typically Switzerland and America. Conventional radiotherapy uses lower-energy photon radiation to destroy cancerous cells but surrounding tissue can also be damaged. In higher-energy proton therapy, the beam stops once it hits the cancerous cells, resulting in less damage to surrounding tissue – particularly important for children. However, the particle accelerator used to deliver the Proton Beams is as energy-hungry as its sounds and requires a significant amount of power to generate the high-energy beam. This demanded a dedicated electricity sub-station which provides the same amount of power needed to run the nearby Trafford Industrial Park. The power generated results in similar levels of waste heat but reclaiming this has made a significant contribution to the BREEAM rating. Modelled using 3D technology and BIM, which is believed to have created theoretical savings of around £1.95 million through early clash detection, the 15,000m2 future-proofed building features three 360° rotating gantry rooms as well as a research room, CT and MRI imaging facilities, patient reception and public space, and planning and support accommodation. Its list of technical features is almost as extraordinary as PBT itself. To contain the radiation, the concrete walls are up to six metres thick. The building incorporates 20,000m3 of concrete and 1,700 tonnes of reinforcement, including steel bars up to 100mm diameter. Through this, 10km of services pipework has been threaded. The concrete itself weighed 48,000 tonnes, the same as two aircraft carriers, with the biggest single pour in a day being 648m3, the same as 105 concrete wagons. All of this was conducted in a suburban residential area, on a restricted site, and adjoining live hospital buildings at the UK’s busiest cancer hospital creating immunosuppressed patients. HKS said: “From the outset, the design approach was to focus on patient experience. Various measures were applied to create a warm and inviting space, aimed to reduce fear and anxiety. Natural daylighting and landscaping were given high priority, as well as a sense of community amongst the building’s users. The waiting spaces were positioned on external walls and courtyards, and the main waiting area designed as a winter garden, integrating light, vegetation and social interactivity. single mullion to ensure that the glazing complemented the external façade design. been designed to further promote the light and space, thanks to the addition of the centrepiece glass balustrades from TuffX. shards will remain in place.â&#x20AC;? Senior Architectural Systems has successfully completed its first contract for Everyman Cinemas after supplying a range of aluminium fenestration solutions for the boutique cinema chain’s new theatre in Greater Manchester. Working in collaboration with architects Fusion DNA, GF Holdings (Contractors) Ltd and specialist installers AliFast (Commercial) Ltd, Senior has delivered a glazing package that has provided the new cinema with the perfect balance between aesthetics and performance. Created following the refurbishment of a former vacant retail unit in the town centre of Altrincham, the new four-screen cinema has been enclosed in a striking building envelope that features Senior’s SF52 aluminium curtain walling. Specified as a fully capped system, and offering exceptional thermal efficiency and attractive slim sightlines, the SF52 system has helped create a welcoming entrance to the venue and a bright and pleasant interior for the firstfloor bar and restaurant. The new cinema also features Senior’s robust SPW501 commercial aluminium doors, which are ideally suited to high traffic retail and leisure schemes. B certified windows that can be shown to work. “The video communicates how important and effective acoustic windows are,” says Mark Hutchinson, MD Tradesmith. “Years ago, overclaiming and underperforming acoustic solutions made people think double glazed windows weren’t up to the job of preventing noise pollution, but our range of acoustic windows are engineered to block excessive sound. Deceuninck for example tests its windows at Sheffield University, one of the leading UK acoustic centres. And our windows have been independently certified by Bluesky to verify that the manufactured product is in line with the original tested specification. Provided they’re installed correctly, the windows make a dramatic difference to the volume of unwanted sound people are exposed to. Installers can now #SayNoToNoise and sell effective acoustic window solutions to their customers.” Tradesmith is sharing the video on social media and it’s on www.tradesmith.co.uk. Freefoam Catalogue Freefoam has announced the Spring edition of their Product Catalogue. With an updated look and new products, the guide provides customers and users with the complete guide to the full range of Freefoam products including PVC-U and PVC-UE fascia, soffit, rainwater systems, exterior cladding, interior panelling and flooring. With over 2000 product items, a clear and concise catalogue is essential for Freefoam stockists to promote the range. This A5 compact format is ideal for building professionals, roofline fitters and roofers to keep a copy handy whilst on the go, with all the product information they need. Epwin Window Systems Launches New Website easier option. 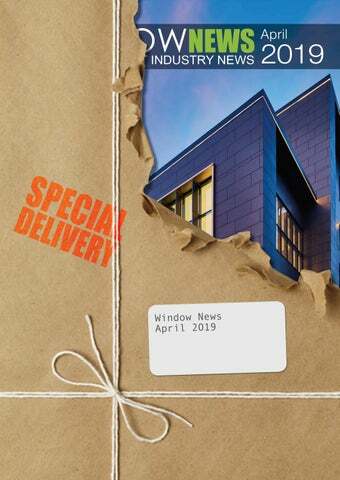 By bringing the products together in this way, visitors can see just how much is available to them with Epwin Window Systems.” Finally there is a news section that keeps visitors up to date and demonstrates Epwin Window Systems’ commitment to quality, investment and innovation in the fenestration industry. UE cladding. A major feature of the catalogue is the inclusion of all colours for each product, allowing users to clearly see the extensive range of options available. A handy fold out sheet also shows high resolution images of each colour allowing colour matching to other products such as windows and doors. Marketing Made Easy Ultraframe has launched a new Marketing Support brochure, detailing the extensive range of marketing tools that are available to its customers. FSV Mainz 05 Deceuninck now tops organic Google searches for heritage windows. Search engines are dynamic, so absolute rankings change frequently, but Deceuninck ranks top for ‘flush sash windows’ and appears on the first page for people looking for ‘heritage windows’. Deceuninck says sales of its Heritage Flush Window have skyrocketed since its launch, and now account for over 22% of total Deceuninck sales. Part of the Heritage Window Collection, the Flush Window combines beautiful, heritage-style looks with top energy, security and weather performance, and comes in 26 colourways from stock (soon to be 30). In stock means that fabricators can confidently sell colour to their customers because they can make what installers order. Earlier this year Deceuninck launched the Heritage Flush Door to complete the heritage family of windows and doors. ...The tough get going. This June GM Fundraising takes on its toughest assignment yet, From Russia With Hope. Covering 2780 miles, across 10 countries in 12 days, a team of riders will take on the gruelling challenge in aid of Hope House Childrenâ&#x20AC;&#x2122;s Hospices.